Shank needs reinforcing, but not bad for a first try. I'd say you did a beautiful job! Very nice. Oh my goodness does that forever bring back some memories! The Corn we grew on the Farm when I was just a young fellow produced a rather large cob. 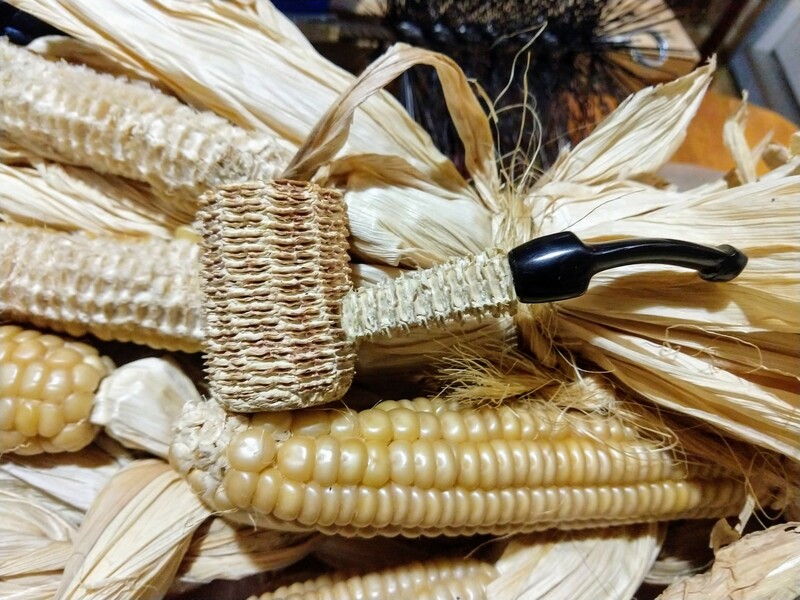 On more than one occasion my cousin & I made a pipe from boring out a piece of cob then using a length of creek bottom cane as a stem. The only tobacco we had was the "Rabbit Tobacco" we would find growing on the banks of ditches. Fun times! Good job Wooda & I bet it smokes like a dream. Nice! How much for a bag of ten? Making a good stem eats up a lot of shop time. But can you make a Brylon pipe? Gives a whole new meaning to the phrase, "Rough as a corn cob." It looks cool, though. I like it. And hey, I bet if you angled that shank like a bulldog and rounded the bowl a bit at the bottom, it'd look pretty cool, too.